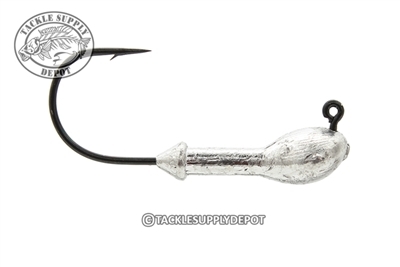 Matched with a razor sharp Owner hook and balanced perfectly the Yamamoto Hula Grub Jig Head is a must for any serious Hula Grub angler. The perfect mix between a football and round ball head the Hula Grub head aids in crawling over rocky terrain reducing hang ups. Also a popular head on many smaller swimbaits and single tail grubs.